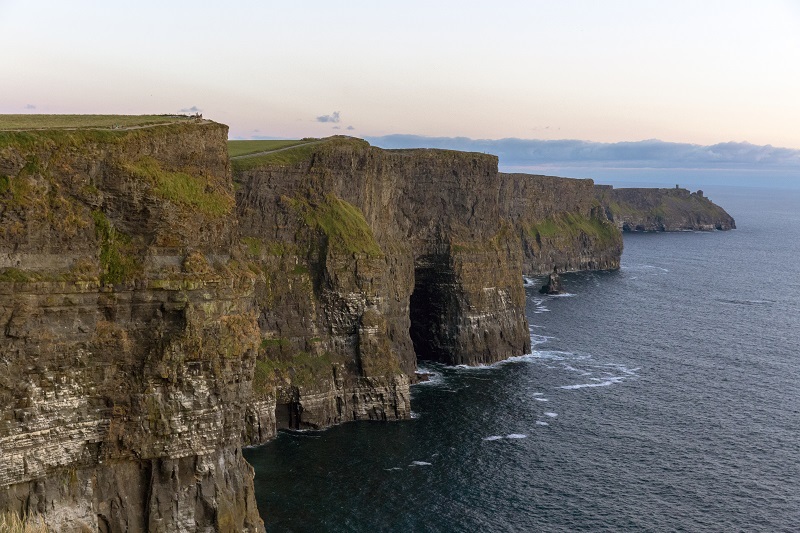 From the scenic rolling green hills of the countryside and the rugged cliffs towering over the Atlantic coastline, to the abundance of historical landmarks and the unparalleled charm and genuine warmth of the locals – Ireland is a country that will leave you wanting more. 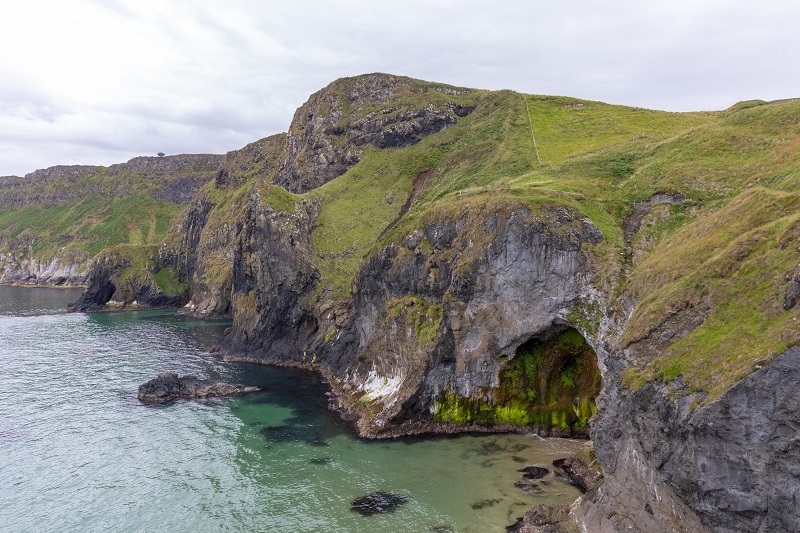 The Emerald Isle belongs at the top of everyone’s travel bucket list. It may be a small island, but there is no shortage of things to do and see. Just back from a two-week road trip around the island, here are a few places you won’t want to miss. 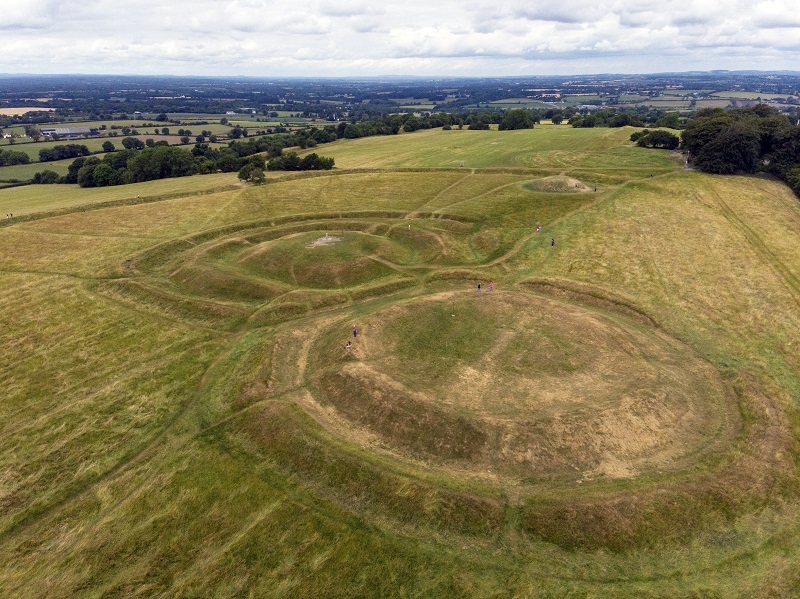 The passage tomb at the Hill of Tara known as Dumha na nGiall, or Mount of Hostages, dates from the Neolithic Age around 3,000 BC. After picking up our rental car and getting accustomed to driving on the opposite side of the road, several near misses with curbs and oncoming cars, and a few dozen wrong exits on the roundabouts later, we were on the road headed north. We stopped in the countryside of the Boyne Valley to visit the Hill of Tara, the ancient inauguration site of the High Kings of Ireland. If you have any interest in Irish history, this place and neighboring Newgrange, are a must. Even if you’re not a history buff, the visit is worth the idyllic views of the Irish countryside. Arriving in the North, we headed straight for the coast. 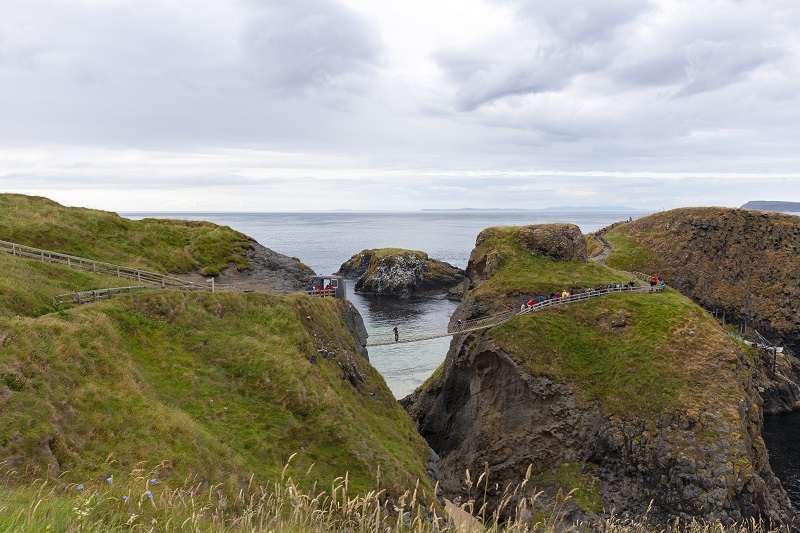 First stop on our itinerary was Carrick-A-Rede, a seemingly precariously-perched rope bridge erected by the area’s salmon fishermen back in 1755. The bridge hangs nearly 30 meters above sea level and offers rewarding views of the northern coastline. 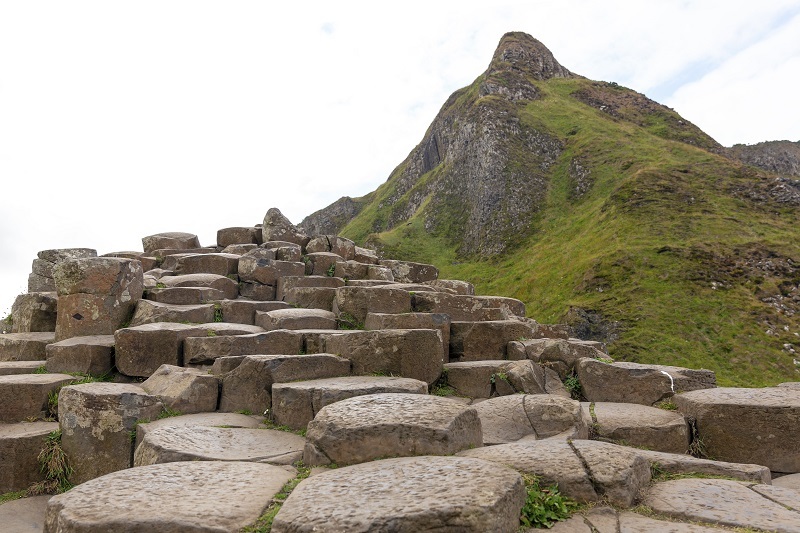 The following morning, at the recommendation of our bed-and-breakfast host, we woke early and headed to Giant’s Causeway to explore before droves of tour buses arrived. 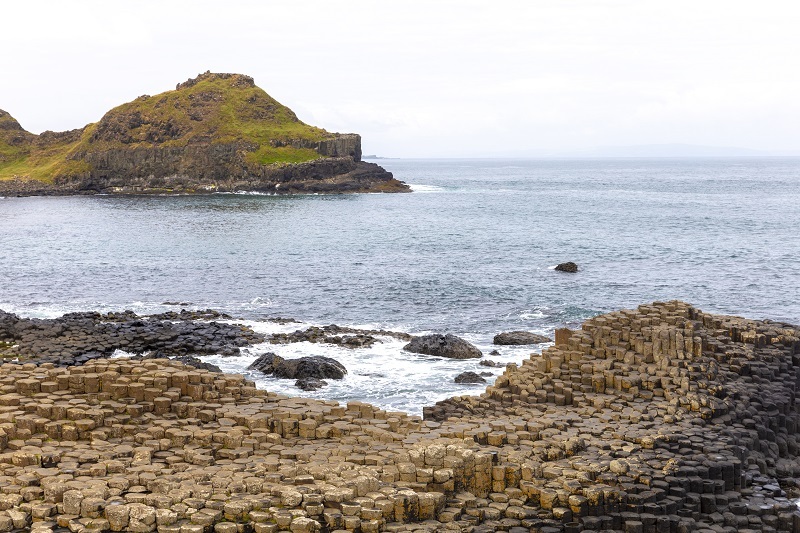 Giant’s Causeway is steeped in mythology, but all folklore aside, the geological beauty of this area – with more than 40,000 interlocking basalt columns – makes it a must-see on any Ireland road trip. Go early, before the visitor center opens. You’ll have to pay a fee on your way out, but it’s worth having the entire place to yourself for a while. 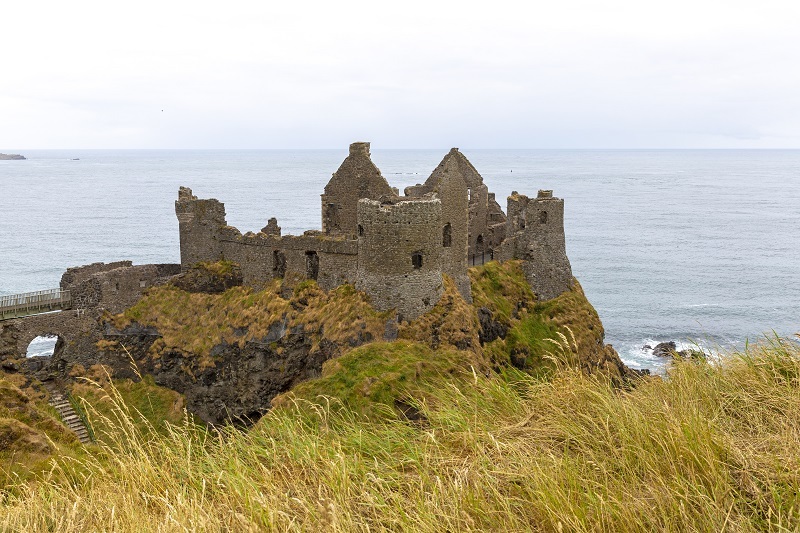 Leaving Giant’s Causeway, we stopped at Dunluce Castle for a quick walk around the ruins perched upon a picturesque clifftop that offers breathtaking views of the Causeway Coast. Back on the road headed south, we stopped at The Dark Hedges, one of the most photographed spots in Northern Ireland. Fun fact: it’s also a well-known Game of Thrones filming location (The King’s Road). 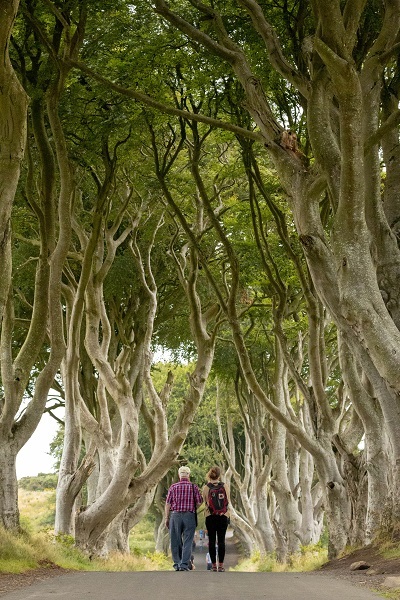 Lined with towering beech trees and surrounded by farmland on both sides, The Dark Hedges offers a nice break from driving as you stroll down the quiet country road. Most tourists visiting Ireland’s West Coast amass to the iconic Doolin pubs for their traditional Irish music. 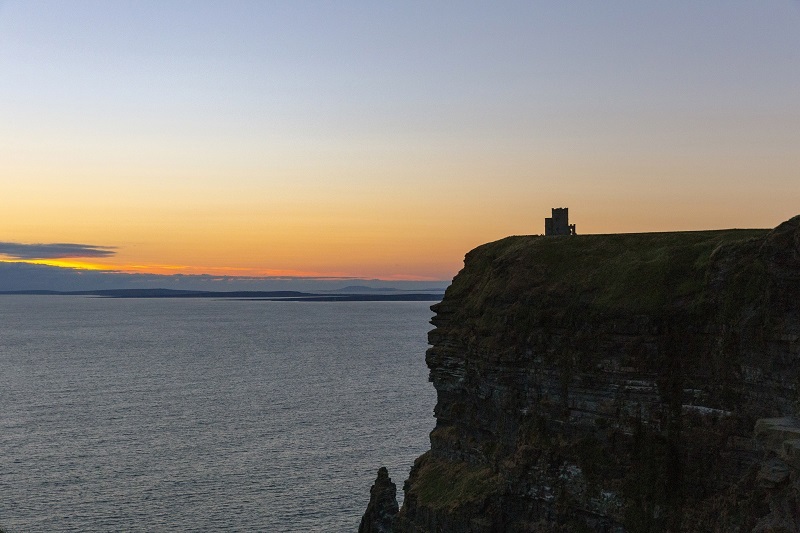 In search of a more authentic, local experience, we were advised by our B&B host to spend the evening at Lisdoonvarna’s Roadside Tavern before heading out to catch the sunset at the Cliffs of Moher. If there’s one thing we learned on this trip, it’s to always take the advice of the locals. They’ll never steer you wrong. Following one of the best smoked salmon dinners we’ve ever eaten, we were treated to the most magical evening alone on the cliffs. It felt like we had the entire Atlantic to ourselves. The following day, we headed out to explore Burren National Park. Limestone dominates this barren landscape. Pale rocks contrast with patches of green vegetation and yellow wildflowers, offering a dramatic, yet quietly humbling experience. 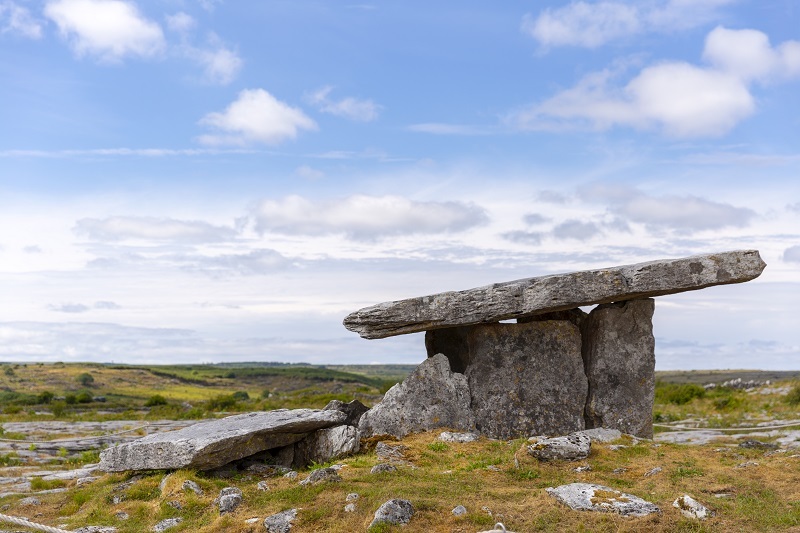 One place of particular significance in the park is the Poulnabrone dolmen, a portal tomb that dates back to 3200 BC. 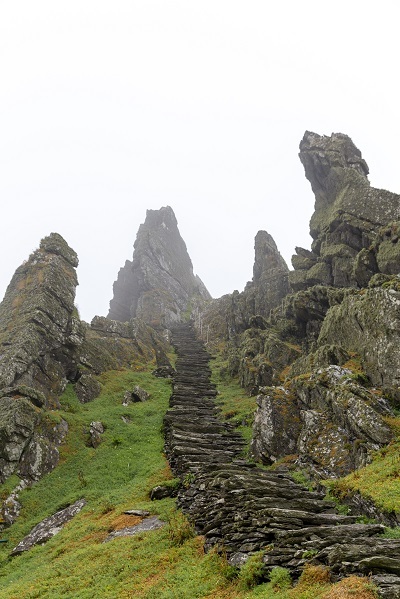 Of all the places we visited, Southwest Ireland stands out as the highlight of our trip. 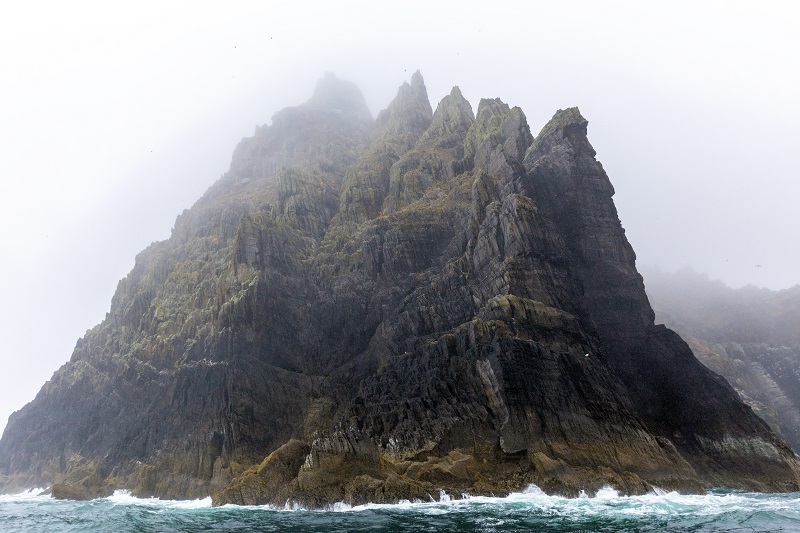 In particular, I loved the boat tour out to the Skellig islands off the coast of Portmagee. 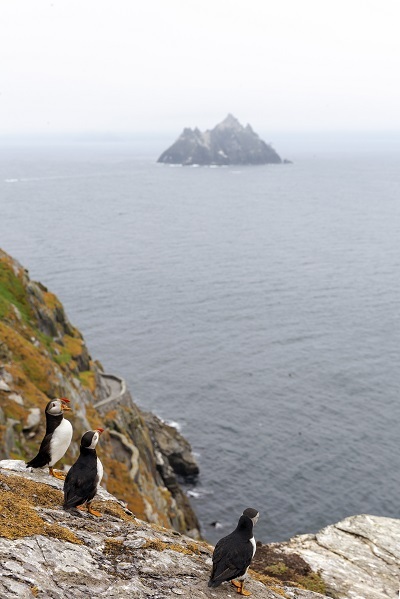 We set out early on choppy waters headed for Skellig Michael, made famous recently as a filming location in the newest Star Wars trilogy. 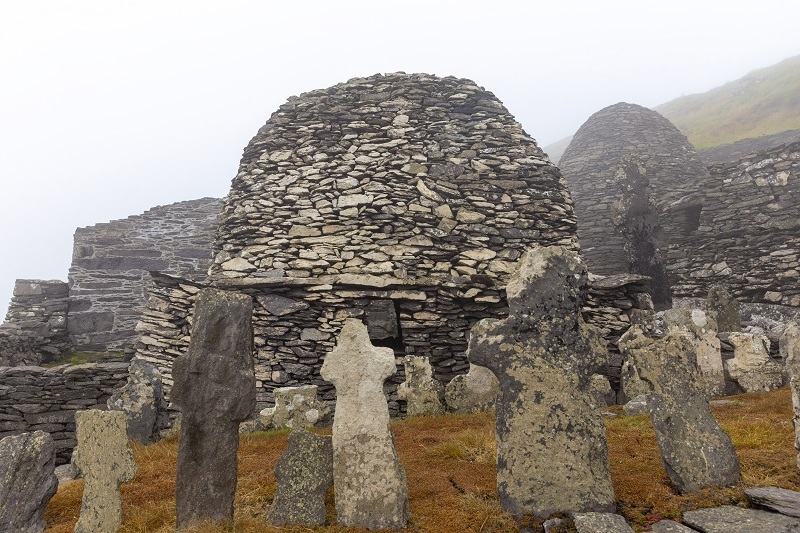 This sea crag rises 700 feet above the Atlantic and is home to a series of monastic beehive huts that housed Christian monks from the 7th to 12th centuries. Almost entirely cut off from civilization, it’s amazing to think what life must have been like for the hermit monks that inhabited this island 1,000 years ago. This modern, yet historic city needs no introduction. 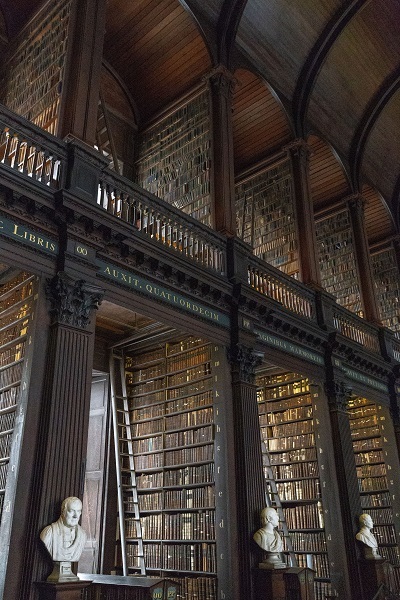 With so much to offer, from art and historical attractions to the unrivaled Irish pub culture, you’d need at least a week to squeeze in all there is to experience here. After spending the last days of our trip strolling through Trinity College and seeing the Book of Kells, visiting the city’s oldest pub (The Brazen Head) and the smallest pub (The Dawson Lounge), wandering up Grafton Street through St. Stephen’s Green, taking a tour around the famous Jameson Irish Whiskey distillery, and joining a traditional Irish music pub crawl through Temple Bar, I am left counting the days until I can return to the charmingly beautiful Emerald Isle. Photos courtesy of Karen Grubb. 7 comments on "9 must-see places on your Ireland road trip"
Have been to Ireland twice now and can’t wait to return. Used a Global partner to fly from Vancouver and used my point to upgrade to have a pod so it was a wonderful relaxing flight. First rip was almost 3 weeks, second just a bit shorter. We rented a car both time and put on 2500 km the first rip and 2000 km the second. We rented a med size vehicle. Remember if you rent a very small car check to make sure there’s going to be room for you and your luggage, we know of people who had a bit of a problem with that. There’s so much to see and do everywhere, Northern Ireland is a must, we loved Belfast and some of the smaller towns there. You can follow the Heritage Towns to check them all out, there’s 11 designated as such. Kilkenny is the only town we went to on both trips with the exception of Dublin where we always end our trip leaving a few days to check out the city, party and head home from there. So many towns, pubs restaurants- no meal or snack disappointed us anywhere. Check out the trad music, we went to a lot of festivals, so much fun and of course the people were wonderfully friendly, interesting and fun. As I said for a small island there’s just so much to see and do, can’t wait to return. I always stay at a cottage in Belleek, a historic place on the border of Fermanagh and Donegal. Seven of the nine spots mentioned can be visited on a day trip from here. Call Brian at 808-222-6886 for more information. Will be nice when I can use my reward miles to enjoy the sights of Ireland! Home is where the heart is and must say that in Ireland everyone is welcomed and given a friendly albeit inquisitive welcome. Thank you for sharing this beautiful island . The history is amazing. It is my next destination on my bucket list . You and me both! Glad you enjoyed this post.